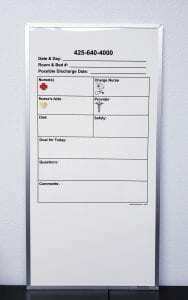 Steel Incident Command Boards are now available from IMS Alliance®. Perfect for your Incident Command Vehicle or Emergency Operations Center (EOC). 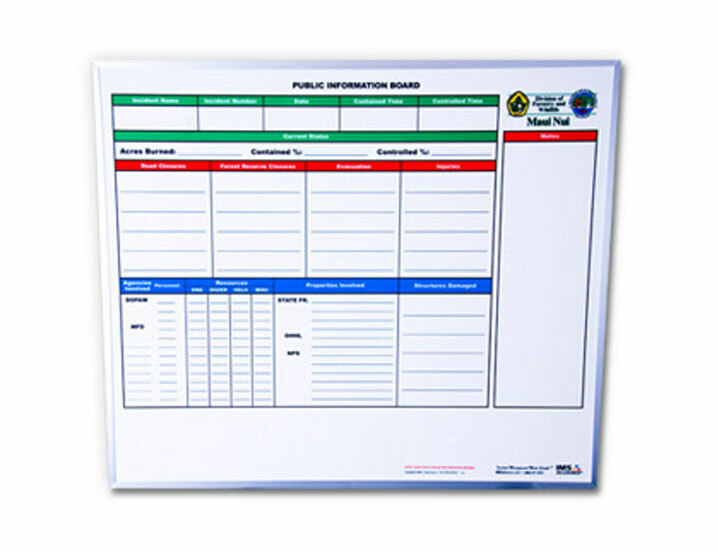 These Incident Command & Accountability Boards are heavy duty steel with aluminum framing and ready for mounting. These boards are great for use with your magnetic backed resource tags or the Passport Accountability System® with magnetic backing (available separately). In stock available sizes are 18″ x 36″, 23″ x 31″ and 30″ x 40″. Custom sizes are available up to our 30″ x 40″ (minimum order required). IMS Alliance® recommends the use of Sharpie® brand permanent markers or Expo® brand dry-erase pens with our steel / magnetic Incident Command Boards (To remove the Sharpie® brand permanent marker IMS recommends Expo® brand dry-erase board cleaner or an alcohol swab or wipe). Contact us today for pricing or for further information by calling 253-847-4085 or by completing the form below.